ECUA is based in Suffolk County, New York and is one of Long Islands largest amateur umpire associations. 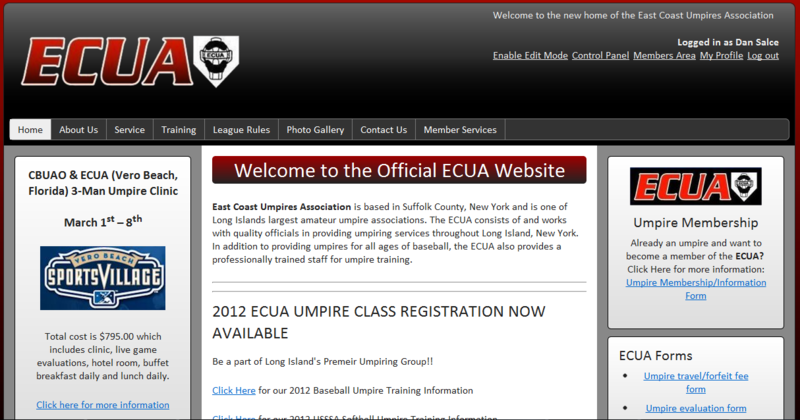 The ECUA consists of and works with quality officials in providing umpiring services throughout Long Island, New York. In addition to providing umpires for all ages of baseball, the ECUA also provides a professionally trained staff for umpire training.